October 5, 2015. 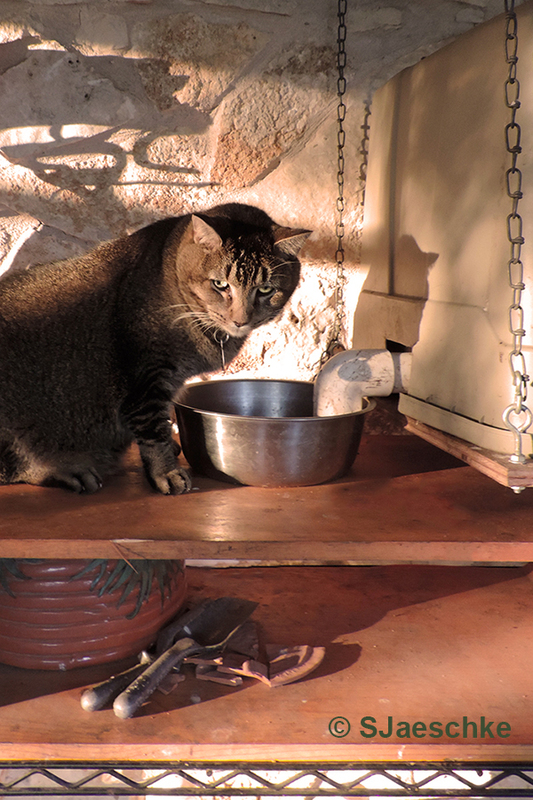 Our tabby Ziggy is an outdoor man but used to the finer comforts of regular feedings, thanks to the Git-Em-Fed which cranks out daily portions. Its motor and accompanying patter of cat nibbles dropping into the stainless bowl are music to Ziggy’s ears, chiming time-to-eat. He’s a routine creature. He does not much like disruptions to his routine. Today he let me know his distress – expected food did not emerge from the rumble-tub! 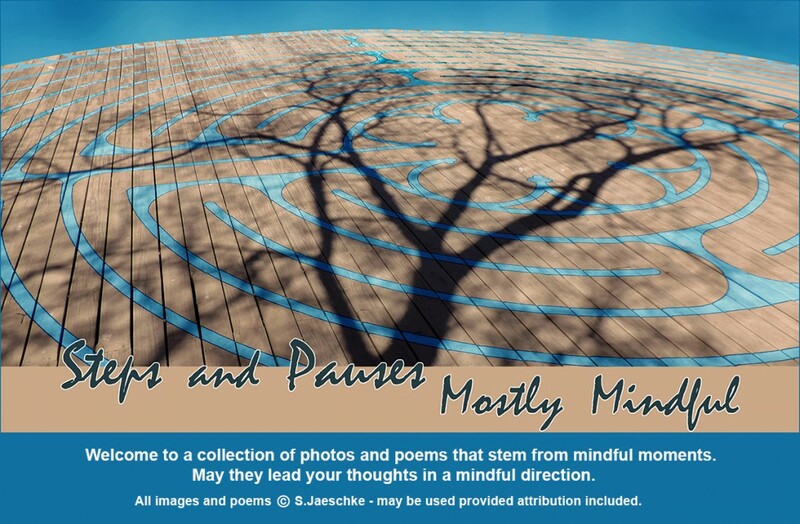 Still feeling guilty, my own moment of distress lingering, I opened the WordPress Poetry 201 prompt calling for a poem using the word “gift” and a simile, in the acrostic form. Ah, perhaps a way to appease the feline gods for my lack of feeder diligence. 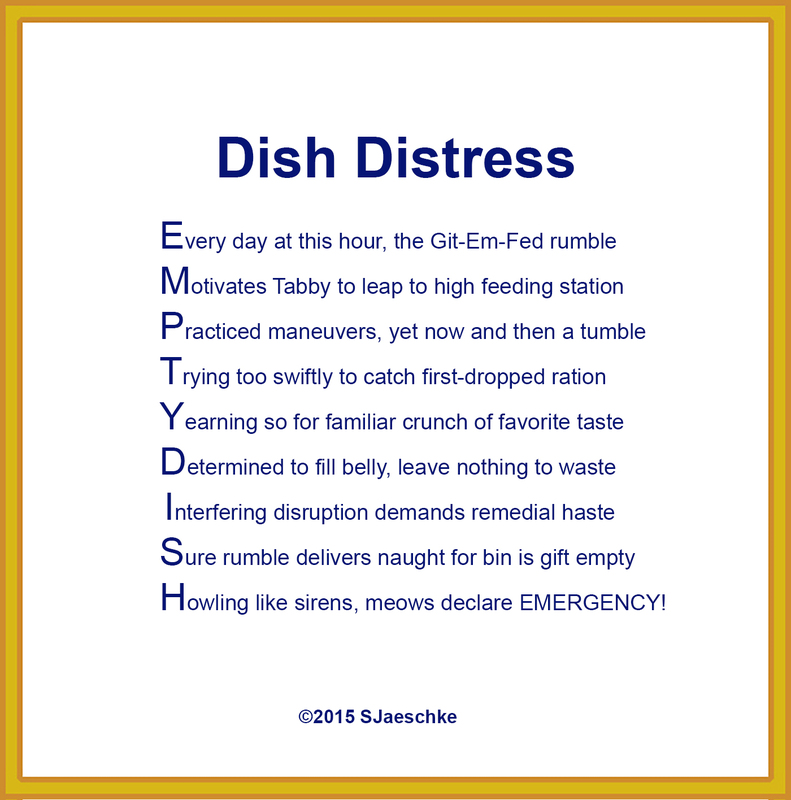 The picture of Ziggy is from another such day when he found his dish void of due gifts.